Today we have 106 202 properties, list your property with us! 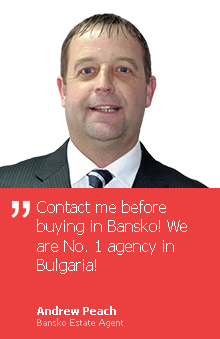 You have decided to buy or rent a property in Bulgaria? 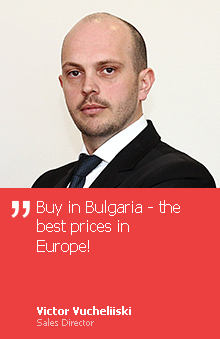 BULGARIAN PROPERTIES makes this easy and affordable, with full protection of your interests! 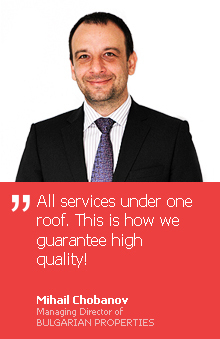 We have been working for our foreign clients for 15 years now. We look after their interests in Bulgaria. We do everything to make them happy. 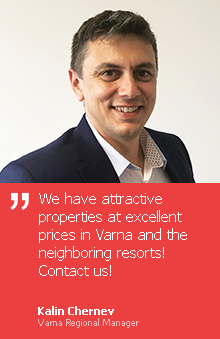 Because that is our job… Because we – BULGARIAN PROPERTIES – are the biggest and most respected Bulgarian real estate agency specializing exclusively in working with foreign buyers. With our help thousands of buyers from around the world have found the best properties for their needs, have invested wisely and have become proud owners of second homes in our beautiful country. There is something for everyone in Bulgaria and we are here to help you find it! Trust us! We'll do our job professionally! Lozenets	Lozenets central beach	Apartments (various types)	Belle Epoque Beach Residence - French style beach–front residence already completely finished!